Astellas Appoints Shontelle Dodson to Senior Vice President Health Systems | Astellas Pharma US, Inc.
NORTHBROOK, Ill., Aug. 23, 2018 /PRNewswire/ -- Astellas today announced that Shontelle Dodson, Pharm.D, has been appointed to senior vice president, Health Systems. In this role, Shontelle will assume overall responsibility for the Health Systems organization and will report directly to Percival Barretto-Ko, president, Astellas Americas. Shontelle was formerly the senior vice president, Medical Affairs for the Americas. "Shontelle's tenure, expertise and background in Medical Affairs, Health Economics and Outcomes Research, and managed care makes her uniquely qualified to lead the Health Systems organization," said Barretto-Ko. "She brings a diverse perspective as well as a focus on creating value frameworks that will help Astellas evolve in the rapidly changing healthcare environment." In her new role, she will oversee Strategic Analysis, Contracts and Pricing, Payer and Channel Account Management, Reimbursement and Market Access Strategy, Health Systems Marketing, Key Account Management, and Health Systems Operations. Previously, Dodson was responsible for the strategic direction of the Medical Affairs Americas organization, including medical support of in-line products, late-stage development compounds and ongoing business evolution across the region. 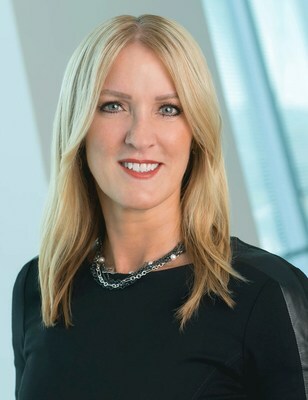 Since she joined Astellas in 2012, Dodson has expanded the Health Economics and Outcomes Research function and pioneered multiple, innovative real world data projects, including the creation of two national registries and innovative research partnerships with leading managed care and academic organizations. Dodson joined the board of directors of the National Pharmaceutical Council (NPC), a health policy research organization dedicated to advancing good evidence and science, and fostering an environment that supports medical innovation in the United States, in 2017. She is also a board member of the Society for Women's Health Research (SWHR). She has received multiple awards for leadership and innovation during her career, including the National Healthcare Business Women's Association Rising Star and Astellas Vision Award. Dodson started her career in direct patient care at the Department of Veterans Affairs, and worked at Pfizer, Inc. and GTx, Inc. in various medical affairs leadership roles. She holds a Doctor of Pharmacy degree from Mercer University School of Pharmacy and completed a postdoctoral residency at the Department of Veterans Affairs Medical Center in Nashville, Tenn.